Are you interested in pursuing a college degree, but you are not sure of what to major in? If you have passionate about business, an accounting major might be the path for you. 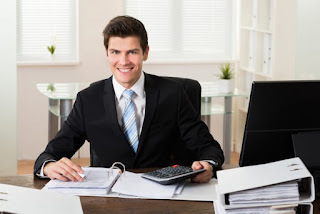 The following are the reasons why you should get an accounting degree. AN ACCOUNTING DEGREE IS VERSATILE. People may be thinking an accounting degree is only good for one thing which is income tax preparation. While income tax preparation is indeed an aspect of a public accountant’s job, there are so much more you can do with an accounting degree. In the world of world, there is always a place for accountants but you can go beyond that field. An accounting degree can be used in many different fields; an accountant can work for a non-profit organization or the government too. You can work with your degree in unexpected industries, such as education, mining, manufacturing or healthcare. THE JOB MARKET IS GROWING. You may be worried about finding a job in your field of study or you’re going back to school to move up in your career, you’ll be lucky in the field of accounting. The future of graduates with accounting degrees looks bright. It will prove beneficial when you Obtain at least a bachelor’s degree; although an associate’s degree in accounting is a good start, but it won't yield jobs higher than clerk positions or less. YOU CAN GET A GOOD ACCOUNTING DEGREE ONLINE. Don’t let your current job hinder you from growing your career. Some of the best universities in the world have expanded by adding online accounting degree programs. You can earn your bachelor’s degree from schools online. Many of these online schools offers master’s degree programs in addition to CPA certification programs. An accountant in the United States earns at least $60,000 a year. Not bad! You can have a rise in salary With additional certifications and education.